The essence of man". 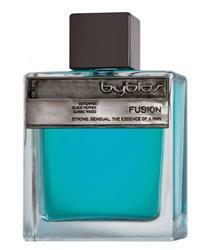 The concept behind this fragrance combines the ideas of physical strength and the delicate and sensual side of a man. The fra is a spicy-aromatic–woody one, modern and elegant. It opens with a juicy combination of bergamot, orange and litchi. The heart includes black pepper, rosemary and green notes of Mediterranean geranium. The base notes are oud, sandalwood, patchouli and soft musk.